My friend, Fabulous K, and I are hosting an incredible blogger’s soiree this fall. We’ve got some amazing sponsors and it will be at an incredible location! We will continue to share details, but for now, mark your calendars! 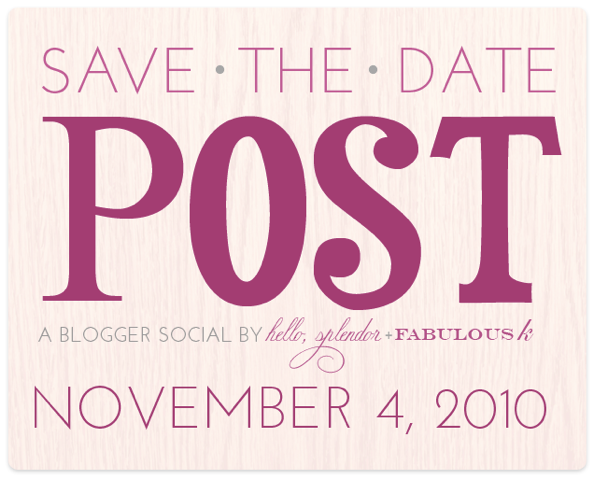 If you’re in Dallas or planning on traveling to Dallas, November 4th, 2010 is an exciting day for the bloggers! We’re hosting a party just for you! !